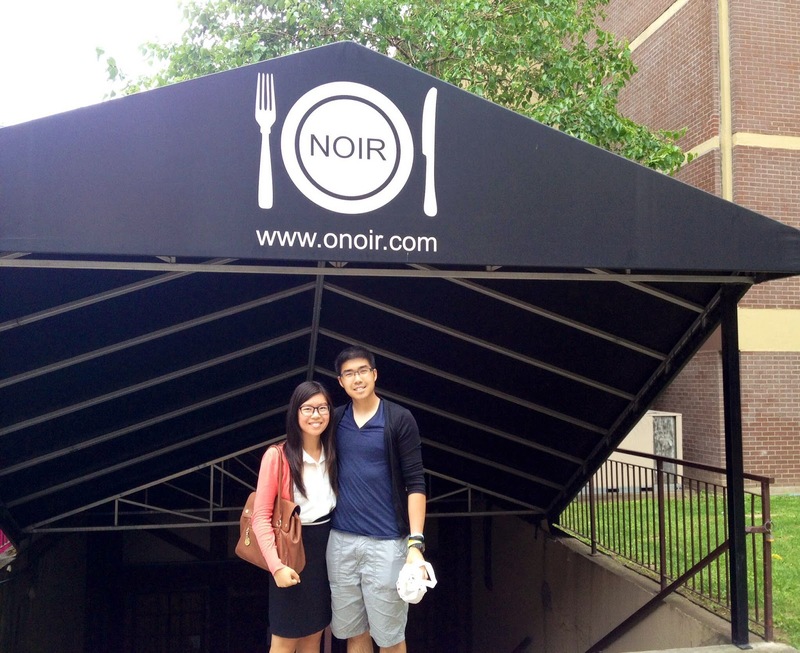 Clarence and I had the opportunity to eat at a very unique restaurant called O.Noir. Doesn't it sound like any other upscale, fine dining restaurant located in the heart of downtown Toronto? 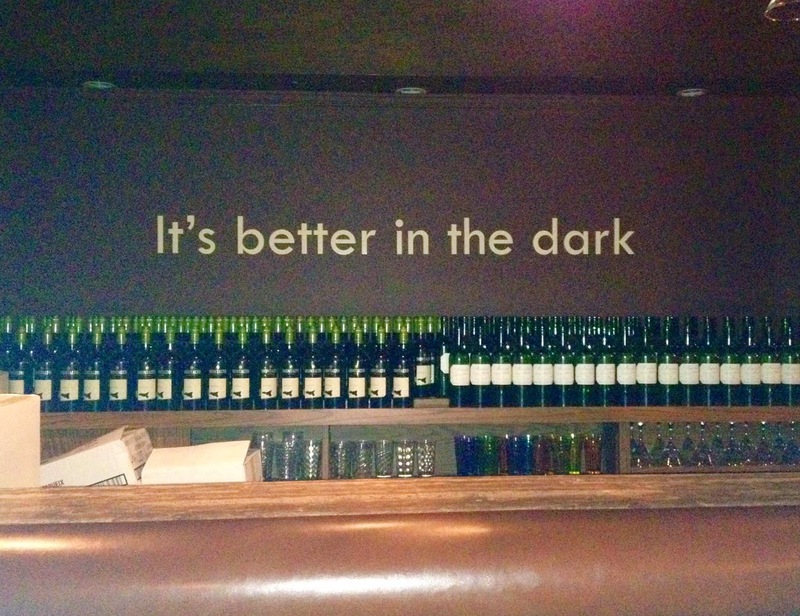 I tell you now, it's NOT a typical restaurant... at this one, YOU EAT IN DARKNESS. Pitch black. No light. You may be wondering "Why would I even go to a restaurant where I eat in the dark?" Well, let me share my review and experience after dining here. O.Noir Toronto opened in 2009 and is one of two "dine in the dark" restaurants in Canada (the other in Montreal). 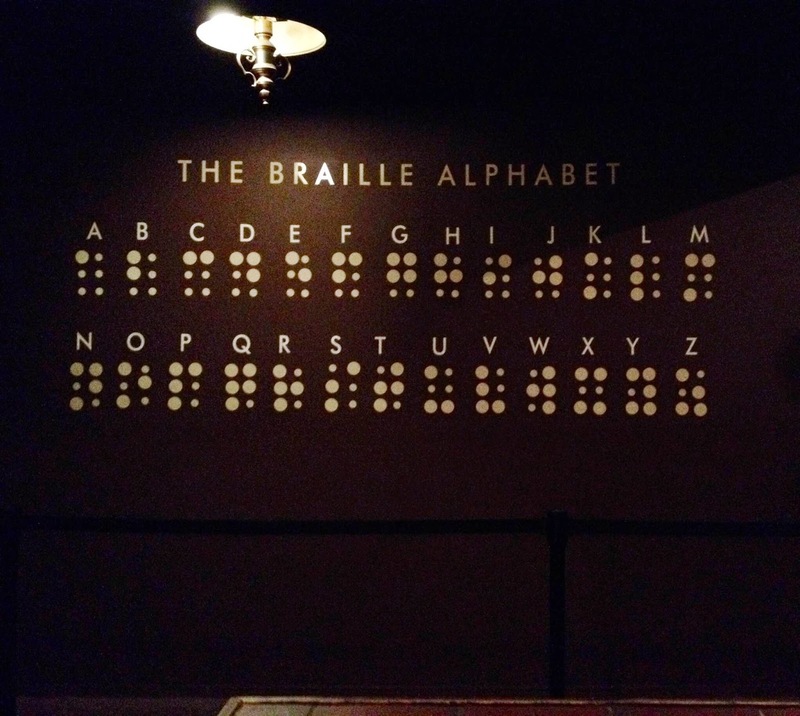 The concept of dining in the dark was inspired by Jorge Spielmann, a blind pastor in Zurich who blindfolded his dinner guests so that they can experience what it's like to not have sight. When we entered the restaurant, the lights were very dim and we were escorted to a waiting area where we placed the order for our three course meal (you'll come to understand why the lights are dim). Afterwards we waited outside our dining room and our server Nassir came to greet us. He took us into the room and we did that by placing our hands on his shoulders so that he can guide us through the pitch black dining room to our table. All the waiters/waitresses at O.Noir are blind or visually impaired. I think it's so amazing that they're not letting their loss of sight hold them back in life, rather they're taking it by the reins and helping to make our experience at O.Noir so exceptional. I guarantee that they can trump us in navigating through a room with tables in the dark while carrying dishes. Even when I was being led into the dark room I already felt so vulnerable. I felt like I would trip and fall or walk into things. If I was able to take pictures of the food, I would :P. However, not being able to see what's on my plate made me appreciate the taste and texture of the food itself even more. My sense of taste was definitely heightened. The meal itself was pretty good, nothing over the top...but for me that was ok because the darkness already made the food taste better than what I would've thought. Sometimes I couldn't even tell if I finished all the food on the plate so I had to feel around with my fingers to see if I left anything haha. I had: "grilled portobello mushroom with parmigiano and balsamic vinegar on a mixed green salad" as a starter, "marinated shrimp with herbs, with risotto and vegetables" as the main, and "fruit sorbet" for dessert. When we were finished our meal, Nassir guided us back out of the room... and we were thankful for those dim lights since our eyes had to adjust to light again. Overall, I was very satisfied with my experience here. I can say that this was just a small taste of what dining/eating would be like for a visually impaired individual, but kudos to them for not only getting through a dinner service but through everything else in life as well. I can't even imagine how it would be like to do everything without sight... eating is already a harder task. Don't take your vision for granted because there are others out there who would gladly trade their restricted ability to see with yours. This is definitely a once-in-a-lifetime experience so definitely check it out! Have you tried O.Noir before? What did you think about it?